It turned out that the balance is so fine, it exceeded the limit of their measuring technology and these are the guys who make gyro-compasses for NASA. Mr. Hund explained that some of the stones are balanced to within one-hundred thousandths of an inch from absolute perfection. After confronting a scientist from NASA, he found out that current technology cannot produce something as finely balanced as this, and that the only way something like this can be achieved is either by the forces of nature or otherwise in zero gravity or space. 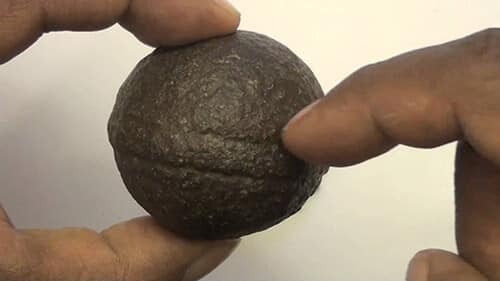 I was intrigued by the form of the spheres, grooves around the middle and the fact that they are as hard as steel, while the material – pyrophylite – in which they are found, is as soft as limestone with a count of only 3 on the Moh scale. They vary in size from 30 to 50 mm in diameter and have perfectly concentric grooves round the center as if they were molded. Inside the hard “shell” some have a spongy substance, while in others it resembles charcoal. 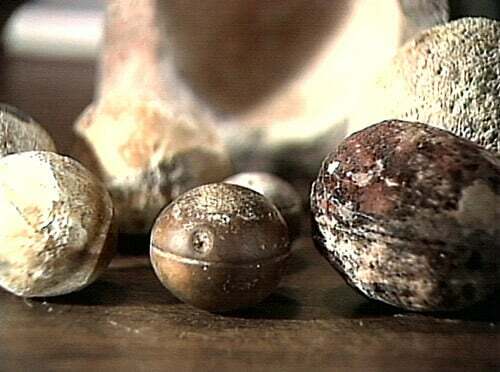 Other reports tell of an incident at the Klerksdorp Museum in South Africa involving a white sagoma, or which-doctor, who deliberately stole some of the spheres that where exhibited in the museum because of their presumably magical capabilities. 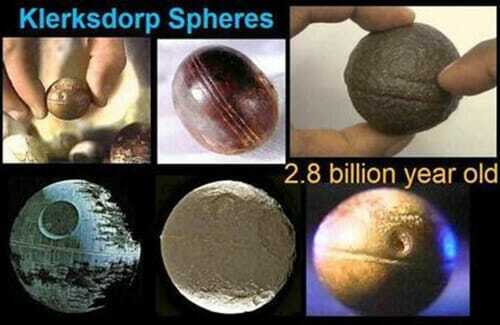 The stolen spheres were never returned or found again. If they indeed possess magical qualities or have another intended use, it will be hard if not impossible to understand after billions of years have passed over them. However, we cannot deny the strangeness of these out-of-place-artifacts and the fact that they could had been used for unimaginable tasks, by otherworldly beings. Over 200 of them were discovered and extracted from the Wonderstone Silver Mine in South Africa, where remains of ancient cultures have recently been discovered. 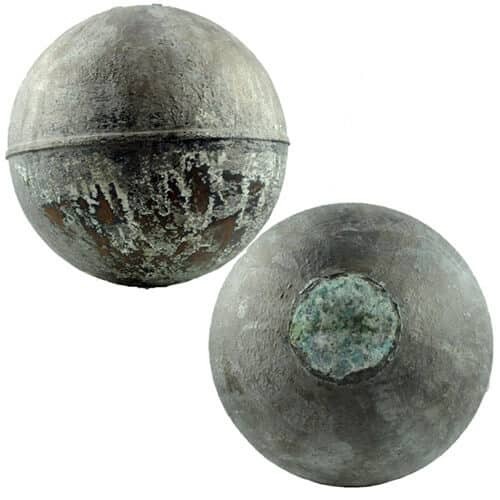 The spheres vary in size, averaging between 1 to 4 inches in diameter and are made of a nickel-steel mixture that doesn’t occur naturally. Some have a thin shell about a quarter inch thick and when split-up, they are filled with a peculiar substance that disintegrates into dust upon contact with air. 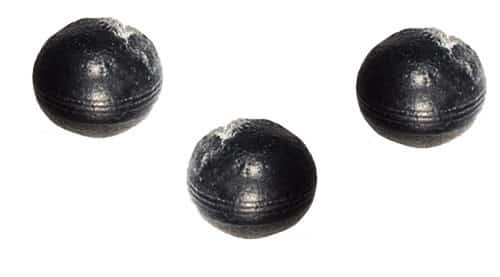 NASA’s Opportunity rover also discovered some mysterious spheres on Mars, somehow resembling to these unusual Klerksdorp stones. Could these artifacts have come from space, particularly from Mars? Is there a link between them and the Anunnaki, who once established a base in South Africa and mined for gold?